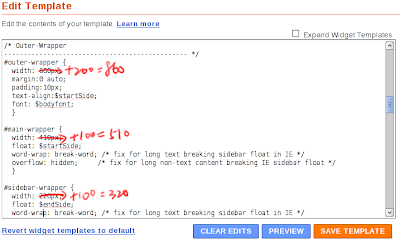 I increased 100 pixels for each of #main-wrapper and #sidebar-wrapper. Maybe that 320 pixels is too many for a sidebar? Also need to increase #outer-wrapper since it wraps main and sidebar wrappers.